On this page you'll find resources available to the Maverick Family, discover ways UNO is supporting Nebraska businesses and how you can help. Volunteering is a great way to share your Maverick Spirit. 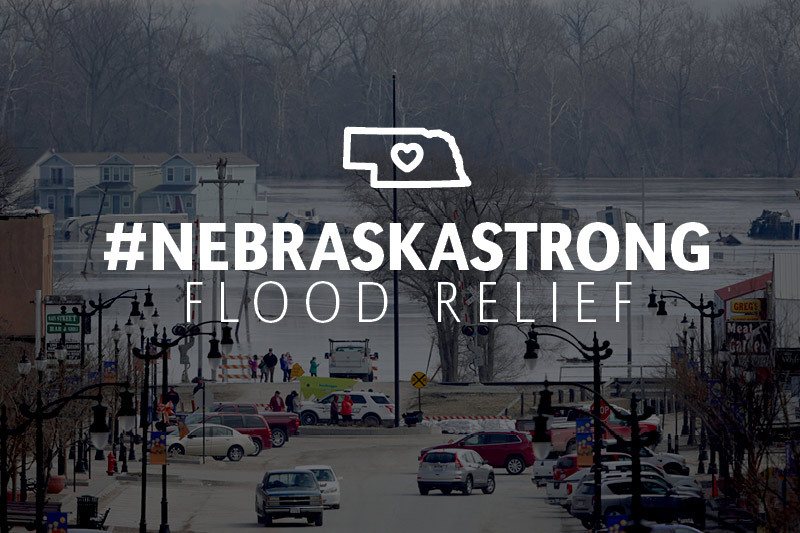 Share your flood relief effort volunteer experiences with us by using the hashtags #NebraskaStrong and #UNOforNE on your Twitter and Instagram posts. We are here for our communities and our state as we all stand together #NebraskaStrong. Students, faculty and staff, we are here to provide support and ensure you are taken care of as part of our Maverick Family. Want to give back? Help strengthen area communities through the transformative power of community engagement. These new opportunities have been added to the University of Nebraska's flood response efforts. The Nebraska Business Development Center (NBDC) at UNO is helping area businesses recover and rebuild. Read news coverage about UNO community flood relief efforts and assistance provided to students, faculty and staff. Please email contact@unomaha.edu with any questions. Media requests should be directed to unonews@unomaha.edu.